A combined Mother Daughter Book Club and Books for Boys meeting for this book was held December 8, 2016 at 6:30 in the Community Room. ‘They say Aslan is on the move. Perhaps he has already landed,’ whispered the Beaver. Edmund felt a sensation of mysterious horror. Peter felt brave and adventurous. Susan felt as if some delightful strain of music had just floated by. And Lucy got that feeling when you realize it’s the beginning of summer. So, deep in the bewitched land of Narnia, the adventure begins. They opened a door and entered a world–Narnia–the land beyond the wardrobe, the secret country known only to Peter, Susan, Edmund, and Lucy. 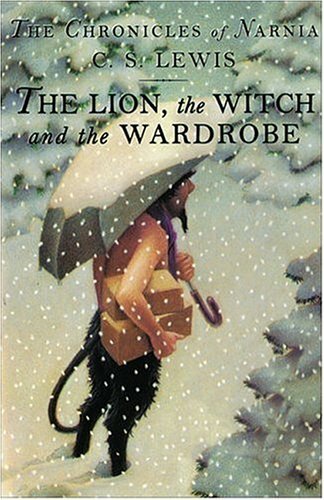 Lucy is the first to stumble through the back of the enormous wardrobe in the professor’s mysterious old country house, discovering the magic world beyond. At first, no one believes her. But soon Edmund, Peter and Susan, too, discover the magic and meet Aslan, the Great Lion, for themselves. And in the blink of an eye, they are changed forever.